Again, I’m starting my post with an apology for not posting for a while! I’ve had a lot of ups and downs to deal with and blogging has been lower down the list. I promise not to bore you with all my problems though, more the opposite, I want to give you a quick update on some exciting things we’ve got happening! Over the last few months, the website has gone from strength to strength with new customers stumbling upon us daily, Mondays have got busier and busier and some days we are brushing elbows! The combination of me being poorly and the wool needing more attention has helped me to take the initiative to increase both staff and opening hours. I’m delighted to announce the arrival of Leigh, she’s been with us now for a few weeks and as she seems to be coping with me I think it’s safe to say she’s now a fully fledged member of the team. Many of you will have already met or spoken to Billie-Jo who has been working for me for a good couple of years. Billie-Jo will be increasing her hours too to help span the extra opening hours for the shop. From Saturday 28th March we will open every Saturday in addition to every Monday, with the same hours from 10am till 4pm. We will still continue to open by appointment for those of you who can’t get here on a Monday or Saturday. We’ve taken on some exciting new stock over the last few weeks, we have the new Opal sock yarn ranges, the new Louisa Harding summer yarns, the new Juniper Moon Findley lace weight yarn and a fabulous luxury yarn from Lotus, a lace weight blend of cashmere and silk with a RRP of £23.95 for a 55g skein, a crazy price if you needed 15 balls for a sweater but as it’s a lace weight, the yardage is superb and most shawls and cowls can be made using just one or two skeins. There’s a beautiful short sleeved sweater that I have my eye on which takes 3 skeins and for pattern support, there is plenty of choice on Ravelry. If you don’t have a Ravelry account and you live local, we are more than happy to help you set one up and get you started…..Ravelry is a community for knitters and crocheters, packed with chat forums, yarns and patterns, people load on their projects and share them and often give helpful notes and tips. Check out www.ravelry.com. The website as always and probably always will be, is ‘work in progress’ so do keep checking back for what’s new as we tend to add bits and pieces most weeks. The new Lotus yarns will be going on this week, as will the rest of the Opals and Louisa Harding. For now though, here’s a few teasers in the new Opal ranges….. I have now got most of the shades in stock of the Louisa Harding Grace Hand-Beaded, several shades of Grace and Grace Hand-Dyed and also the pattern support in Three Graces and Fade to Grey. 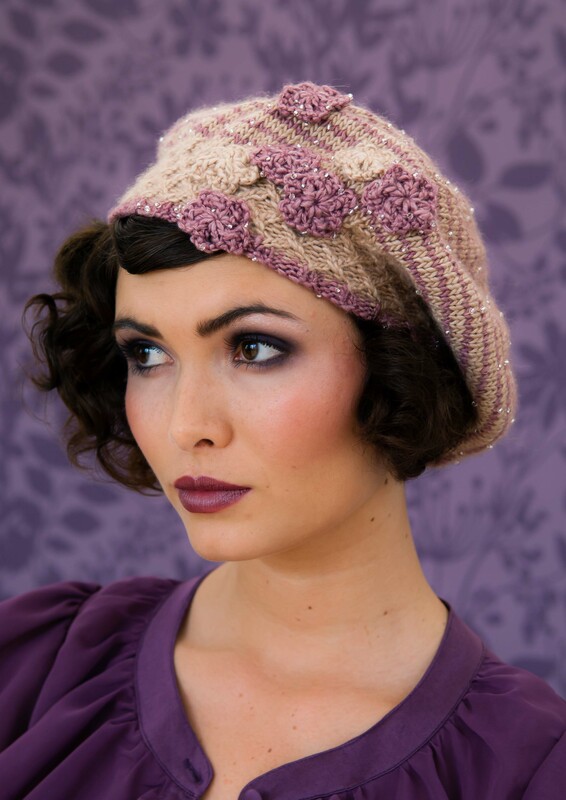 Grace is a luxurious blend of Silk and Merino Wool and the Hand Beaded version is just beautiful. Hand-Beaded can be used to knit a complete garment or to just add a luxurious edge to something! The pattern support in Three Graces and Fade to Grey range from small 1 ball projects to garment, there are some of the most delightful hat and fingerless mitten patterns I have ever seen!